Happy Typographics 2018! 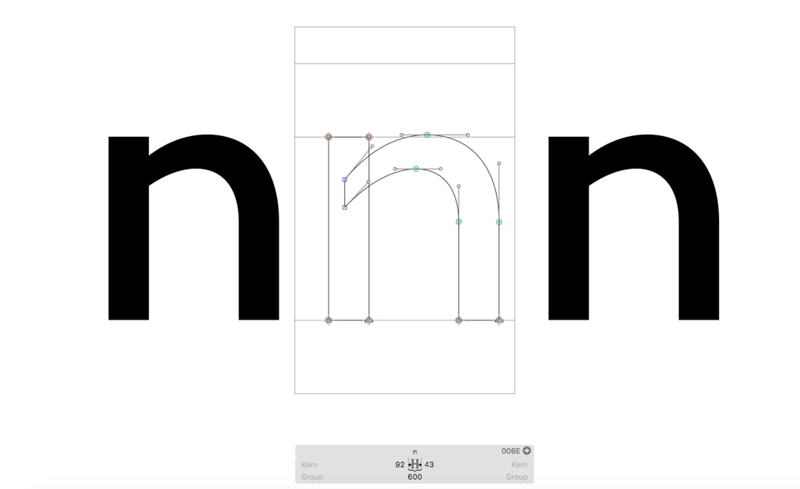 To celebrate the conference, I signed up for a "Typeface Design for Non-Type Designers" Workshop at Cooper Union. Although I have general visual design knowledge from classes at Parsons and SVA, I wanted to delve in deeper to create...Amelia Sans. Our fearless teacher Matteo Bologna taught us how to use Glyphs. Matteo co-taught with Georg Seifert and Rainer Erich Scheichelbauer (masterminds behind Glyphs). This is a far more useful program to create fonts with than Illustrator. Why? Because of the keyboard shortcuts. Glyphs also focuses on "nodes" instead of bezier curves, which is much more user-friendly for people who are not Illustrator Pros. I learned to love Command+Shift+A, which helped me align all my "nodes". When your nodes are aligned, you create beautiful rectangle boxes that look like "l" or "i"'s. We started off making "n", which we adapted to create "m" and "u". I learned quickly to repurpose my Glyphs to make other alphabets. "S" was by far the hardest letter to create. We had to split the top half of the letter "c", duplicate it, and mirror it. Then, the mirror half c's nodes were connected. You have to move the new Glyph's nodes in accordance to the "S" bends and finally correct the letter out by adding curves where needed by Option+Shift+Click.